Combining ease-of-use with high-image quality, Canon U.S.A., Inc., a leader in digital imaging solutions, unveiled the EOS Rebel SL3 DSLR camera, the smallest and lightest product within the current EOS lineup. 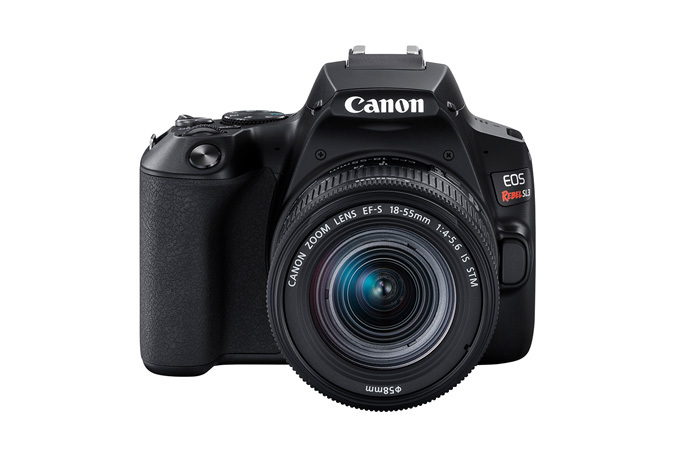 Weighing just 15.84 oz1, the EOS Rebel SL3 offers users a compact system delivering high-resolution images – complete with an APS-C imaging sensor, DIGIC 8 Image Processor and 3.0-inch vari-angle LCD touchscreen as well as 4K video, a first for the EOS Rebel lineup. Compatible with Canon’s full line of interchangeable EF and EF-S lenses, along with the ability to instantly send images to compatible smartphones through Auto Image Transfer via Wi-Fi®connectivity2, the EOS Rebel SL3 is the tool needed to empower aspiring photographers to capture gorgeous shots quickly and easily. Canon U.S.A., Inc., is a leading provider of consumer, business-to-business, and industrial digital imaging solutions to the United States and to Latin America and the Caribbean markets. With approximately $36 billion in global revenue, its parent company, Canon Inc. (NYSE:CAJ), ranks third overall in U.S. patents granted in 2018† and was named one of Fortune Magazine’s World’s Most Admired Companies in 2019. Canon U.S.A. is dedicated to its Kyosei philosophy of social and environmental responsibility. To keep apprised of the latest news from Canon U.S.A., sign up for the Company’s RSS news feed by visiting www.usa.canon.com/rss and follow us on Twitter @CanonUSA.